I have a quick question about syncing contacts in outlook. I have Outlook 2003. I have “contacts” (that is where all my main numbers are located). I also have another folder that is named “sphere of influence”. I only want to sync the “contact” file. I can not seem to exclude the “sphere of influence”. Any ideas? Notes used to sync with Outlook. For some reason, although checked correctly in iTunes->iPhone->Info, there are now 12 notes in Outlook and 17 on the iPhone! I think an iTunes upgrade recently might have changed something. If you have an issue with NOTES not syncing with Outlook/iphone make sure you have no blank spaces at the beginning of the Note or a Blank Note. A simple blank space will hang the sync. I’m using iTunes 10.1 and a brand new iPhone 4. I have the same issue others in this thread are trying to solve. There are 2,000 total contacts in Outlook. In the current contacts list called “contacts” by Outlook, there are 500 – that’s the current list and the one I want to sync. The other 1,500 are in a file called “contacts nosync”. The problem – in iTunes 10 once you check sync contacts with Outlook there are 2 options: 1) All contacts 2) Selected groups. Clearly we want selected groups. But in selected group only “contacts nosync” is displayed, “contacts” is not. Therefore, when I try to check selected groups but don’t check “contacts nosync” – iTunes decides I must want all contacts and downloads all 2,000. The problem appears to be that the base “contacts” file does not show up as a group in iTunes and the “show this folder as an email address book” checkbox is greyed out in Outlook contact properties settings. So, I can’t find a way to select only “contacts”. Anyone find a way around this ? Hi! What if you don’t have a MS Exchange account (I have Outlook 2003 on my home computer)? Can you still filter your contacts to the iPhone? During the sync process, i tunes failes to update the email addresses on to my iphone? Your email account probably needs to be upgraded from POP to IMAP. How I can make sure that data from my iPhone is the data which will go to Outlook rather than vice-versa? Did you try our Outlook TO iPhone contacts synchronization tutorial? type in iphone and sync with iCal, iCal shows one late late. Help! Hi, I have Office 2010 and an Exchange-server account (from the company) and private local folders. Thus my PC company contacts/calendar and private contacts/calendar. The iPhone has an Exchange-sync via air for all exchange calendars/mail/contacts and should have an iTunes sync for all private local contracts/calendar. Private mail is synced directly with the provider. I cannot select the private calendar/contacts folder for synchonization. I see only the company exchange-server based list. Contacts from exchange = company? I have the exact same thing can’t seem to get a resolution for it, any news on this subject by anyone pls? We really need the iPhone Expert to give us direction on this issue. 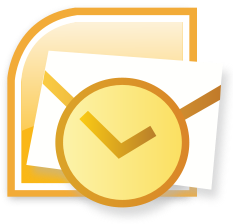 How do we sync Outlook contact folder contacts that are not MS Exchange contacts? I want to buy an iPhone, but am not sure it will do what I want it to. The heading on this says wireless. Can i sync an iPhone wirelessly (over the air wifi or data connection) using iTunes, to Outlook 2007 running on my pc? Will it sync both ways? In other words, if I get emails in Outlook, and I sync to iPhone, will those emails show up on the iPhone? When I send an email with iPhone, will the email show up as sent in Outlook? In essance the answer is no. It does not sync email the same way old Palm use to and Windows Phones do. The iPhone needs to connect with a mail server using POP/SMTP or IMAP. If your mail server uses POP/SMTP then there is no way to keep them in sync. If your mail server uses IMAP then they stay in sync and the data is kept on the mail server and very time you do something has to sync the action. The downside of IMAP is that your data is stored on the server and you generate a lot of data traffic and the process is low especially if you have a lot of mail like me. Personally, I am dissapponted there is not iPhone to Windows direct sync. This is a step backward. The ideal solution for me would be to have the mail server using POP/SMTP for speed and light data levels. With an iPhone to Windows (Client to Client) sync. So, when you get home, you plug your phone in and everything get sync’d. To add safety you would have your iPhone set to leave copy of mail on the server, so if your iPhone got lost or stopped working, you could still get the latest email when you got home. This is very disappointing when considering my Palm, 10 years ago, had all this down pat. I have the syncing down right but I have a folder I created to save all documents I need to save and look at from time to time. When I sync, that folder won’t go to my iPhone. How can I get it to sync with it? I have Outlook 2010 and iTunes 10.1.1, The two do not seem to be communicating. I have checked and the iTunes Outlook add-in is installed and active in Outlook. Any ideas how to get them to communicate? Hi, I’ve problem to sync Outlook contacts and iPhone. Outlook has many fields, but iPhone sync only certain fields. Is it possible to sync ALL Outlook fields to iPhone without using Exchange server? The only other option I can think of would be the use of an Exchange server. However, I would need to restrict the contact folders that are being synced. Any ideas for that? First off, I’m delighted I found your site. It is a very welcome storehouse of information on this critical feature, namely the communication between these wonderful iPhones and those, um, other things that are also wonderful, and also important parts of our lives (like our external e-mail contacts, like our external calendars, etc.). So thank you for applying your passions in such a useful and easy-to-follow way. I am grateful. We all are. It’s a terrific site. Second, a rather simple question that I believe I may already have the answer to. How much customization can I do with a contact within the iPhone and then expect that information to port over to my Outlook contacts? In other words, should I understand that the Outlook fields are not as flexible as the iPhone contact fields and that the smartest strategy is to keep the iPhone fields as close to the Outlook fields as possible? With the iPhone (4), I can make those fields within a specific contact as flexible and customizable as I want, but I am guessing that when I try to synch that information with Outlook that very little of it will carry over because Outlook will not absorb the new names for these fields. Correct? On my PC (Windows 7) I use Outlook 2010 and have, what I think is the latest version of iTunes (10.1.2.17). As I’m self-employed I have set up Outlook with two accounts, one for my personal stuff, the other for business, and if I click profiles from the Mail set-up app on Control Panel only one is listed called Outlook. Hence, with this setup I maintain two calendars and two contact lists, which in a sense Outlook 2010 does OK. However, using iTunes I am only able to sync my personal stuff with my iPhone, and despite efforts I can’t also sync my business contacts and calendar entries. This is starting to drive me mad, please can anything be done (without using Exchange Server)? I just bought a new iPhone 4 and then downloaded iTunes 10. When I sync my contacts to Outlook 2003 (in Windows XP SP3), any of the contacts on the iPhone that have custom labels such as “brother’s cell” become labelled as “other” in the Outlook contact. This is unfortunate, but I can kind of understand it, but if it has 2 custom labels such as “his cell” and “her cell” for example, only one of them gets labelled as “other” and the other one is gone completely! I’ve even tried creating new labels on the iPhone to match Outlook 2003, such as “Assistant” and then re-labelling some of the contacts that didn’t transfer over properly, but it still doesn’t work! I try to sync Outlook 2003 with iPhone 3G and all of a sudden Calendar items do no longer sync? Contact items do. What’s wrong? I have exactly the same problem, all used to sync fine, calendars won’t, and it can’t even see the second calendar in the Selected Calendars box. I have reset the sync history, checked the iTunes add-in box is ticked, in fact spent 4 hours on the phone with Apple Tech, and still no luck. I have run Outlook Detect & repair, and re-loaded from original disc, done a hard reset, and a backup and restore on the iphone – still no joy! I’d like to upgrade to an iPhone 4, but I really can’t, unless I can sync easily, without the iTunes. I want to sync only “selected groups” of contacts from Outlook to iPhone and for some reason the option to sync only selected groups remains grayed out and not accessible. I am using the iPhone 3G, Outlook 2010 and iTunes 10. Any solution? It appears that iTunes sometimes says groups when it means folder. Sorry, use follower navbar in Outlook and create a second Outlook contacts folder and place the contact you don’t want sync’d in it. Now reload back to iTunes and you should have two groups listed. Adjusting the options should allow you to select the folder you want sync’d not that the folders are called groups in iTunes. I want to do the synch the other way round: I only want to synch the contacts on my iPhone to a separate folder on Outlook as back up. I don’t want to synch my entire Outlook address book and iphone contacts. What about the ability to synch Outlook Notes, Tasks, and Journal? These are essential features and functions for power users like me. Anybody out there up to speed on this and actually get it? My wife and I each have an iPhone 4. We have separate contact lists and calendars. I want to sync these with Outlook 2007 on Windows 7. We use the same user account on Windows (it’s easier as she is not at all techy) and I have created two user profiles in Outlook. The problem is when I sync my iPhone with Outlook using iTunes and then hers, both contacts lists get merged on both iPhones. It looks like the software is not smart enough to recognise that both phones are different or Outlook has 2 different profiles. Please tell me what I need to do. Thanks for your help. Once I have sync’ed the first phone and want to change the default Outlook profile in the Control Panel, do I need to unplug the phone and go through the same steps as for setting the first profile or can I just change the default Outlook profile while leaving the phone plugged in ? Thank you so much for this – I was going crazy trying to fix it. I’d set up a separate profile, an then lost all my info on my iPhone! All sorted now, so thank you very much! I am new convert to iPhone from Blackberry. I am happy, except when I open an email on the iPhone, it does then sync with my Outlook 2007 like the blackberry did. In other words, once I open an email on the iPhone, it will not show the email in Outlook, what can I do? Can anyone help me find where to change this? As some people mentioned above, I have 4 groups of contacts in my iPhone and I want to synch only group number 3 with Outlook. When I go to sync page in iTunes, I can only select the “All contacts” button and this option synchs only my number 1 group, not other groups. “Other” button is not active and selectable. Any slution to fix this problem??? Did you try Linda’s solution (above)? Hi all, i have exactly the same problem: i had different contact folders already set up in Outlook before i got my iPhone, but when the iPhone is connected to iTunes, only the “All Contacts” button is active. I’ve tried renaming the folders, deleting and recreating them, but still only “All” is active. Any ideas?? I’m using Outlook as part of Office 2010 professional with iTunes 10.4. It took me ages to get everything syncing properly and instantly (with “Push”) over the air between my iPhone and Google. The only thing that is “left hanging” are the contacts I create on the iPhone – they don’t show up in my Google contacts. But if I follow your instructions above and get iTunes involved, won’t that potentially cause problems with my existing Google sync? Isn’t there a less complex way to e.g. stop creating local contacts, just (local) Google contacts or something? I’m totally confused. I cannot place an entry in the calendar on my iPhone and have it show up on my desktop computer’s Outlook calendar. Yet, my friend, who also has an iPhone, can do this. We tested it together. She does not know why this happens for her, as she just got the phone. I can sync using iTunes, but I’d like calendar entries I make on my iPhone to transfer to my computer’s calendar without iTunes. Does anyone know about this? Thanks! I have been using Entourage as my email account. This has been syncing with my iPhone. I have now upgraded to MS Office 2011. When I sync in iTunes, I notice that under the info tab, it does not show Outlook 2011, only Entourage. Can anybody help with this please? I am looking for a way to synch notes and tasks from different pst files. I can not find any way to perform this. itunes only synchs with the main exchange pst. I go through the whole process just fine, but in the mail contacts that it is syncing to it has my wifes email address. I have not been able to change it to my email address. Hi, I wanna sync iTunes with Outlook 2011 (for contacts and calendar) in my macbook pro, but I didn’t see that option in iTunes. Anyone knows how can I do this?? Thanks. Works perfectly! Tried it out and everything Calendars, Notes and Contacts are syncing perfectly… no need for a halfway solution! Thanks for this solution Pat! After a sync between my iphone 3gs and outlook 7 calendar items on both are deleted. Is there any way to undo a sync? I tried hitting the revert option and this did not restore my calendar items on either! I have an iphone 4 with new update and outlook for mac 2011. when i follow your tutorials for syncing contacts and calendars it doesn’t apply. I do not get an option to select outlook in itunes. Am i missing something or is it not possible for 2011? I was able to get contacts over but cannot get my calendar to sync it keeps pushing it to iCal and I don’t want to have to use two different programs to keep all my info in. any advice or suggestions would be great. Im using 2 computers, one home and another office. At home i sync only my apps and Ms Outlook 2007 contacts to my iphone, which is syncing just fine. Problem is with my Office computer using Ms Outlook 97 ! !…tried syncing with iphone but only birthdates appear. At the start of the itunes, ive already instructed for the computer to replace iphone content with the computers calender content. But still no appointments coming out ! !…only birthdates !!.. After syncing with my PC (Outlook 2007) a few times I seemed to get alot of duplication of contacts and appointments so I decided to delete them all from my iPhone 3GS, tidy up my contacts on the PC then transfer a “clean” copy back onto the iPhone. Unfortunately, I must have selected the “replace the data on your computer” option on my first sync, so now all I can do is delete all contacts/appointments on the PC (to match the iPhone). On the apple support site it says that once you make a selection “These options can not be undone”. How can I get my contacts, calendar etc. back onto my phone? There are too many to enter manually! Any new contacts I put in my phone automatically appear on my pc outlook. How can I stop this? Hi, Wondering if you can help. I recently started to use Outlook with my iphone, now when I acess my emails on the phone sometime there are no emails. Then new emails will be pushed to my phone but not any old emails. Then after a while it will clear again. This is very annoying. Can you help? Please email if you can. With my previous laptop running windows XP proffesional and Office 2007 I could Sync notes two-way using my I phone. My new lap-top is running windows 7 and Office 2010, contacts and calenders still Sync OK although the contact details get swapped around. However, Notes will not Sync either way. For some reason, outlook does not show up in my iTunes sync list… all the add-ins are “in”. Any suggestions? Thanks! I just plugged in my iPod Touch to sync it — it has always synced with Outlook. Well, there was an upgrade and I let that happen and now outlook does not show up in the options to sync. Using Vista and iTunes 10. P.S. Not using google because I don’t want to have all my info on Google. I’m wondering if there are any way to let my wife see whay I see when I open my calendar on her Iphone 4? I have an Iphone 4 with calendar from my works exchange server plus one extra app (Birthdays) and I access it all from the app Week Calendar. Could my wife somehow get some kind of easy access to all of this as some kind of shadow-image where reminders etc don’t bugg her (I have alot of those… :))? hi when I tick all the boxwes in the info window of I tunes and click on apply. My Iphone starts to sync then all the boxes cancell them selfs out.Do you have any idears. I hope you can help me because I’m frustrated as heck. I am moving to the iphone from my Blackberry, and I’m not a happy camper. Have an iphone 4 and Outlook 2007. When I bought the phone, the guy at the store moved my contacts over from my Blackberry. I came home and when I connected it, it did a synch. I found and am finding multiple problems. What that heck is going on? I never had these issues with my BB. Hello iPhone Expert. Thanks a lot for getting back to me. I do still have my BB since I am afraid to let it go with all these issues. I synched it with Outlook, but there are new entries in Outlook that are not on the BB. 1. Delete all the contacts on my iphone. Do I do that by going into iTunes and doing a ‘revert’? 2. 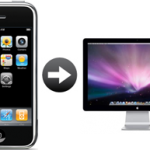 Synch the iphone to an empty Contacts list such as Windows Address Book. Sorry, but where is that? 3. Follow the instructions you laid out. I have been using Apple MobileMe to keep my iphone and Outlook Calendar synced over the air at all times, which was working fine. In December, Apple introduced an ‘upgrade’ and it reduced some of the functionality of Outlook calendars which I liked, so I downgraded again. Now Apple has withdrawn the calendar syncing unless you upgrade. I’ve looked at your comment about Google Calendar Syncing and this seems to suggest you have to connect the iphone and computer physically to keep data synced: is this right? What are my options to keep calendars and contacts synced over the air please? I have been using Apple MobileMe to keep my iphone and Outlook Calendar (Windows 7, PC) synced over the air at all times, which was working fine. In December, Apple introduced an ‘upgrade’ and it reduced some of the functionality of Outlook calendars which I liked, so I downgraded again. Now Apple has withdrawn the calendar syncing unless you upgrade. Hi everyone, I’m having trouble with my iPhone4 transfering my notes to Outlook 2010. It moved 24 out of 30, I tried to synq it a few more times but was still unable to get them all it just won’t move my new ones over. If you guys have any tips that be great. Any progress for this post? Eager to solve this issue otherwise I am wondering to switch back to my blackberry! hi im trying to sync my notes from my iphone 4 to my 2010 outlook but only 24 of 30 notes made it over all the newer ones wont transfer tryed a few times. any ideas guys? I have a pc at work which is networked into our exchange server. I have a pc at home. Both have outlook. In the past I used my blackberry to keep calendars, contacts and notes, identical on both computers and on the blackberry. This was a wired sync that was two way. IE I could change information on either pc or the blackberry and when synced, that would be reflected on both computers. Like this Work PC -> Blackberry -> Home PC. Again this was calendar, contacts and notes. So now I have an iPhone and this does not work. My iphone has a wireless sync with the work PC now which is nice which is two way Work PC -> iPhone. However if I try to sync the iPhone with my Home PC either wired through iTunes or wireless through their “mobile me”, a new calendar is created on the iPhone reflecting the calendar on my home pc but not merged with my work calendar. Now there are third party cloud programs that will allow my work and home pc to be in sync which is really all I need as the iphone remains synced to my office exchange server. HOWEVER our IT will not let me install such a program (don’t get me started). Yes I can created a .pst file in outlook, load it on a USB stick and transfer that to my Home PC and back and forth but that is clunky and time consuming and eventually leads to many duplicates. I had Outlook 2010 64bit on 64bit Windows 7 synced directly to my iphone through itunes 10.2.2, but recently when I plugged in my iphone, it deleted all of my contacts in my iphone. For some reason, I have been unable to get the contacts to sync again. I’ve been doing some searching and I’ve tried everything that has been suggested. I don’t know if it is a compatibility issue. Please let me know if there is a solution to this issue. Just bought an iPhone4 with Verizon Service. Any recommendations how to accomplish this…..IT says I can not upload to Google? No particular recommendations for this. 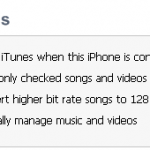 Your iPhone will sync just fine with your iTunes home music library. I have already synced my microsoft exchange account with my iphone (mail and calendar are doing fine) but when I turn on the sync for contacts it asks me whether i would like to keep existing contacts on my iphone. Is there a way I can do a one time copy of contacts from exchange but keep my contacts synced with the ones on my personal computer? To sync your iPhone contacts with the ones of your computer, just select Windows Address Book from iTunes. The “Keep existing contacts on iPhone” option, allows you to keep contacts on your iPhone in addition to the ones sychronized from iTunes. I have Outlook 2007. There is no “i-Tunes Add-in” under inactive application add-ins. Where do I find it. This might mean that the add-in is already active. Can I get emails on both the iphone and outlook at the same time like on my Blackberry? I would like to choose which ones to open where and when. My iPhone inbox has hundreds of folders open that I want collapsed….I tried the operation above through iTunes but can’t select “GROUPS” in the mail section ..cleared cookies but that didn’t help either. I have some simple requests for some thing that I could do with my Palm and my old Windows CE and nokia phones. But there appears to be no way do do this with IPhone. I want to be able to Sync emails between Outlook and iPhone. I do not want to use IMAP and contect to the mail server as my email is to large and it is to slow. The reason is I want to be able to send and recieve email via Outlook and iPhone and when I plug my iPhone in get my inbox, drafts and sent folders sync’ed between the two. I could do this with my Palm in the late 90’s and then with my Windows CE phone and Nokia in the 2000’s. So now is there a way to do the in the 2010’s. Please do not sugget using IMAP, Exchange or some online service it to unreliable I have tried. If iPhone can not do this is there some third party software in the App store that will do this. Also is there some away to have my Outlook Task list sync with some take list in the iPhone as there appears to be none. This again is something that I have been able to do four years on other platforms. Again if their is third party software available to do this that would be great. I am sure there is a solution or thirdparty software to do this. Also I need a firewall for my iPhone to stop my App’s going out on my Phone data account with my mobile provider downloading ad’s. I just bought my phone and have installed (411) lots of free app’s to try them out. A firewall like I havd with my Windows CE phone would be ideal. That everytime I can set to alway allow WiFi and alway ask for on Mobile Provider. Always Block, Blook Until, Blook Today, Blook 1 hour, Allow 5 Minutes, Allow 10 minutes, Allow 30 Minutes, Allows 1 Hour, Allow Today, Allow Always. It worked perfectly for managing my access and I never went over my data cap. I do not know what it is like in the US but here in Australia the data charge are high if you exceed your cap. So I need a way to control data usage. I have seen a firewall program for the iPhone, but it requireds jail breaking my phone and this is the last thing I want to do. I suspect that Apple or a third party have an application in the App’s store. Please if you can provide a link that would be good. I am sure there are solutions to my issues as I have been able to do this with other OS’s (Palm, Windows CE and Nokia). Had older outlook and an I-phone 4. Just upgraded to Outlook 2010 and now every time I open my e-mail on my phone.. it empties and shows i have no e-mail. but outlook still shows all my e-mail. i thnk it is a setting in outlook. can you help? Worked fine before I upgraded. I have the following issue everytime I sync my Iphone 4: Several of my contacts in the Iphone keep on multiplying on the iphone and several show only the names of the contacts while the telephone numbers are erased. I sync with Itunes on a Macbook Pro and I also use Mobile me. I’m a recent convert to an iPhone 4 from a Blackberry. The iPhone is great. But, there is one Blackberry function that I miss, and was hoping to replicate with the iPhone. On my Blackberry, I could delete email messages on the handheld device only, but the emails would still be in my Outlook inbox at work (run off an enterprise server). Is there setting that would allow me to delete emails on my iPhone but not have the emails deleted from my Outlook inbox (rather, just showing up as opened/read)? This is unfortunately not possible with the iPhone. The iPhone’s Mail app communicates directly with the incoming mail server of your email account just the same way as if you were accessing it through a webmail interface or through an email client such as Outlook or Thunderbird. I need to delete an old email account from my iphone, which is through outlook. Will it save my contacts that I currently have on my phone? If not, how do I keep them on my phone, once the email account is deleted? how do you sync your contacts from the iPhone 3gs to outlook. If just sync in itunes it will delete all the contacts on the phone. Does th sync go 2 ways now? What is your opinion of the APP – Outlook Web Email. Thanks! Hi – I have a similar issue as Uwe above: I have an exchange email account, and 3 other pop email accounts. The inbox for my pop accounts and contacts folder are in personal folders. I can’t get itunes to see the contact folder in my personal folders as a group and let me sync it. Even when I select sync all contacts with outlook, it won’t sync the contacts folder from my personal folders. These are the ones I want on my iphone. J’ai un problème de synchronisation du calendrier de mon i-phone 4 avec celui de Outlook 2003 du PC depuis que j’ai exporté des données outlook vers un dossier personnel (.pst). La synchronisation du calendrier semble se dérouler normalement (pas de message d’erreur, “synchronisatrion terminée) mais en réalité, toutes les données introduites dans le calendrier du PC depuis l’exportation des données dans un dossier personnel n’apparaissent pas dans l’iphone. Que dois je faire pour récupérer la synchronisation avec le calendrier en cours dans outlook 2003 ? When I do the back up before syncing where does the info go on my computer. It saying the back up is complete but I don’t know where to find the info on my computer. I have categories on phone numbers in outlook. We have 2 different iphones. We want to just sync phone numbers with certain categories to each phone (e.g. phone 1 gets the phone numbers with categories A, B, and C, phone 2 gets the phone numbers with category X). I have windows 7, outlook 2003, iphone4 with the latest update. No matter what I do, I can’t get categories to show in itunes – I am unable to choose certain groups, it is greyed out, and the category field does not show on the phone numbers on the iphones). How can I get categories to work? i have an iphone 3GS and have upgraded it to 4.2.1 and i have itunes 10.2.2.14. I have synchronised my iphone contacts with outlook, all the names of my contacts appear on outlook the only problem is that some of them do not show the contact numbers. Its just names with no contact details. 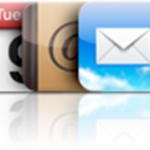 Has anyone had problems with the iphone creating multiple groups on their outlook 2010 after syncing? I have had this issue with MobileMe and Outlook where it created 1000’s of extra subgroups of contacts that are empty. Any suggestions? My iphone automatically tries to sync Contacts and Calendars when I plug my iphone into my Windows 7 64-bit computer running Office 2010 and itunes version 10.4.0.80. When it syncs, all of my iphone contacts are deleted and replaced with Outlook contacts. The email address is listed as the telephone number, which is not a problem since my Outlook address book does not have any telephone numbers in it. I turned off automatic sync, but it still happens. I remove the check in the sync contacts box, but it reappears as soon as I plug in my iphone. I do not have anything checked in the Advanced section of the Info tab. Is there any way to prevent itunes from syncing my contacts (calendar is not a problem) every time I plug in my iphone? Is it possible to sync Outlook calendar to the iPhone or iPad and maintain the color categories of Outlook? I am an attorney and use a particular color category of Outlook for each court I appear in. Therefore I may have 1-4 names, all the same color category because they are in the same court on the same day, then have several office appointments, all the same color category, since my office has it’s own color, spread over the afternoon at various times. I cannot use separate calendars instead of the categories because of the above detail. Please help!! Is there an app out there that will sync the Outlook Calendar to my iPad exactly as Outlook provides it?!?! Can’t get iphone to add new calendar events to Outlook. I tried your google calendar 2 way sync suggestion and also reset the sync history. I already tried apple’s suggestion of uninstalling and reinstalling itunes, quicktime, mobile app device support and bonjour. So after several hours, I am having no luck and it is 11 p.m. I am very frustrated. This was so easy with the Blackberry and a total nightmare with the iphone. Just wanted to clarify that I am syncing to Outlook 2003. I have Microsoft Outlook 2010 and an old 3G iPhone. When trying to sync, only those new contacts from Outlook transfer to the phone. The contacts added on the phone do not transfer/sync onto the Outlook Contacts on the computer. Also, when viewing the settings for syncing Info on iTunes, the screen only shows parts of the language/messages under each category – so cannot understand what the “selection” really does b/c the sentences are never finished – so weird. I am so frustrated with this syncing contacts from phone to computer and the incomplete messages/instructions when I try to manage the sync settings. All my calendar events have been saved in Outlook 2007. I have events on the calendar from 2004. When I sync my iPhone 4, not all of the events sync to the iPhone. As a result, I “replace info on iPhone 4 with info on the computer” and it syncs all events. My real problem is that after about 24 hours some of the older events disappear from my iPhone 4 but are on Outlook. How can I fix it? I would rather not use another calendar app, if possible. I have done it as per instructions and it works flawlessly. Thanks for the information. Hi, there is a slite change in the name of add-ins. I have an iPhone4 and Outlook 2010 but am having iussues with the synchroisation of Contacts. When I first set up my phone it copied over all of my Outlook contacts so I had hundreds of email addresses on my phone which I didn’t need. I then got into a proper muddle. I decided to clean up my Outlook contacts first, deleting substitutes, but when I re-synched the phone put them all back again. I cleaned up the Outlook address book again but this time I used the ContactDel App to delete all the contacts on the phone before then trying another synch. Again the phone took over and emptied out my Outlook address book. I was able to recover the situation because the App has a restore function, but I am unhappy that it was so easy to innocently delete the Outlook files.. Is there any way to set the default so that contact data only synchs one way so that Outlook, not the phone, remains in charge ? I have an Iphone 3g and have Outlook for Mac 2011. I am trying to sync calendars. When I connect the phone to the computer, I see Outlook in the “Sync Ical” calendar section and check it but it will not syncing. Can you explain what I might be doing wrong? I am running Itune 10.4 and Outlook 14.1.2. I currently have an older windows mobile phone and sync it with outlook via usb cable to both my PC at work and, my PC at home. I’m hoping to buy a new iPhone this fall and would like to be able to do the same thing, to keep outlook content on both computers pretty much identical. To what extent will this be possible? 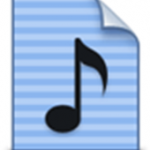 Note: I really don’t want my songs/videos that I have in iTunes at home (for my iPod touch) on my computer at work. Thank you! Is there a way to make the iphone calendar just read only? I use Exchange 07 and would like it to control adding and deletion. I have a IPhone and have set it up on a MAC, I need to sync on my home computer which is a PC…will that mess anything up? I synced my Iphone 4 with my Outlook 2003 the other day and my 8984 Contacts appeared on both places without emails and telephone numbers…help ! where are they stored ? Hi All , I have an iphone 4 and i’m using outlook 2003 . My problem is that the iphone will only store 12 months of calender history unless i go to info tab in itunes and tick to replace the details of the iphone with the detail from my desktop . After the sync the history then dates back to the start in 2001 but the next morning when i check it’s gone again and back to 12 months of history . Please can someone help me with this as Apple support don’t know how to . Hi, I already synced my outlook contacts with my iphone. I had the itunes add-in disable on Outlook but it synced them anyway. They always sync correctly when connected, meaning the new stuff is copied to either my outlook contacts or iphone contacts (2 way syncro). What I want to know is exactly what does the “Sync mail accounts from outlook” syncs in the info section of the iphone propierties. I have it checked, my 2 pop accounts, but I seem to fail at seeing what exactly it is syncing. Big help if you could help me with this. Thanks. I have a new iPhone and a PC that uses Outlook 2007 for email and calendar. The 2-way sync instructions work fine for a hardwire connection. 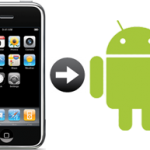 However, is there a way to sync my phone and PC calendars wirelessly? I don’t use gmail. I followed every single step to sync my Outlook 2007 activities to the new iPhone. Backing up the iPhone… preparing to sync… finalizing sync… At the end I receive the fatal message: iTunes cannot backup iPhone “fernando” because the backup session failed. I have almost 1,000 contacts… Would be that a problem? I have an iPhone4 and using Outlook 2010. Was able to successfully sync calendars from Outlook to my iPhone till last week- then suddenly no new calendar entries will sync. I have tried (1) clearing the sync history; (2) saving all recurring events as “all day” and save recurrence pattern as “every year”; (3) removing all com add ins and selecting only iTunes add in from Outlook; (4) removing all calendars fro iPhone and then selecting and sync again. Only the entries created prior to this problem sync successfully and no new entries appear in the iPhone calendar. is there a solution? I am looking at buying an IPhone 3GS whilst on offer. I’ve never used an IPhone before and I would like confirmation before buying that it will sync with my Windows 7 Home Premium Pc? I will need to be able to sync Outlook 2007 (not exchange version) with the IPhone, which I have just been reading about on this site. I can not find the itunes add-in from the Inactive application Add-ins list. I followed these instructions but there in only one inactive application on the list and it is also not an “active” application. Suggestions? Just brought an iPhone 4 and having a problem with my contacts. When I have a business contact and make a custom label (instead of having e.g work, mobile, etc) for my phone numbers it deletes it of my outlook contacts. hi, hoping you can help. We have just set up a new email via a domain and have it set up on our home (work) computer and iphones. As soon as i open outlook on the home computer, it deletes everything from the iphone. If i do not open outlook, all emails that we have received since i last opened it will still be on the phone. Ive tried everything but cant work out what is wrong? We really need to have all emails on the iphone as well. Please help! When I sync my contacts to Outlook (2007 on windows XP) from my iPhone 3GS I can only see the contacts with an email address and not the ones with only a phone number (in Outlook address book). I followed the instructions. I never did find the MERGE button, after synching. What did I do wrong? I have Outlook 2010 and the iPhone 3G. I have multiple Outlook accounts but I want to sync my contacts from the iPhone to the each of the Outlook accounts and back. How can I accomplish this? Some contacts in my Outlook were marked “private” and were not syncing to my iPhone 3GS. I have removed the private designation and they are still not syncing. All other contacts are fine. Unsure as to how some became private in the first place. How do I correct this? i tried to sync my contacts on to my computer and i did sync with outlook thinking that it would put it on my computer but it deleted all of my contacts and i’ve tried doing the backups but they didn’t come back please help! I have the iPhone 4, the latest iTunes, and Outlook 07. Since the last sync. between the phone and Outlook, I have entered a couple of new contacts on the phone. If I plug it to the laptop now, iTunes will start, and sync immediately. The current iTunes settings prioritize the laptop, therefore my new contacts on the phone will be lost. I cannot change those settings without plugging the phone, since I cannot access the iTunes commands for the iPhone if I do not connect the iPhone to the laptop. This is a vicious circle. Any way out? help me, I transfeedr contacts from my iPhone 3gs to my laptop with i tunes and pressed sync with outlook but the outlook wasnt in function he wasnt set, and now I can not find the contacts. I also backup but they are gone. Can someone help me to find my contacts??? My 64 bit win 7 stopped working (blue screen) so I managed to restore it with a back-up. Pleased to say all ok apart from iphone 3gs and outlook 2010. The calendar syncd fine but not contacts. I’ve created an ‘iphone folder’, but itunes (10.4.1.10) does not see any outlook folders/groups. Outlook add-in is in and working. I have managed to get my contacts onto my iphone by copying then all to an Outlook folder called ‘outlook – my email address’ then syncing. I’m tempted to leave alone as things are working, but I have a sneaky feeling this will catch me out in the future! What have I done? Why does itunes only see this folder within Outlook? Why were my contacts being saved to this folder with outlook? Is this something to do with ‘exchange server'(which I’m afraid to say I do not understand)? Any assistance or pointing to tutorials would be appreciated. I have Outlook 2007 (Windows 7 64 bit) and iPhone 4. iTunes 10.3.1.55 (64 bit also). I do all the steps here and my outlook contacts do not get downloaded. What could be my problem? I recently left a job and had been using my work outlook contacts as my main contact list. My work account has now been discontinued. Will the contacts remain on my iphone when I delete my work account? Should I back them up somewhere on a personal account? Or are they now permanently in my iphone contact list? I synced my iPhone 4 with my Outlook contacts. It removed all my apps and the names off my contacts. The numbers are still there, but I cannot see a name associated with it. I was able to get my apps back on my phone. I tried to “Import SIM contacts” and it did not change anything. I have 700+ numbers – some are very old and I do not know by memory. Is there any trick I can do to get it back to normal? And why did it do this – how can I prevent this in the future? Thanks! 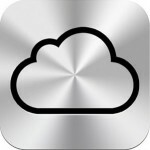 I use the iphone 3GS for work and have always sync my phone on my mac at work but I would really like to sync it at home to utilize the new IOS and icloud for personal use. My concern is that my contacts, current apps and work email will not be able to work if I try and sync at home. Is there an easy solution for this? Thank you! I want to be able to look at my appointments made online (where I set up appointment reminders into outlook) on iphone. I followed the instructions above about syncing outlook with iphone calender,but i think i need to do one more step on the iphone to complete this set up in the mail,contacts,calenders in settings tab of iphone. Anyhelp on this will be appreciated. I have Outlook 2010 running at home with a personal gmail account and an Exchange account. I also have an MacBook that has Exchange as well along with an iPad and now and iPhone. Not all of my contacts are work related and so some are marked private or in a catagory of friend, what is the best way now to keep the contacts and calendar synced. I am happy to mark appointments as private if needed to keep others on my exchange server from seeing my non work appointments. I am now tearing my hair out with this iPhone4! have upgraded all software and followed all the instructions,both here and on the Apple site linked, and still cannot do a simple task: When I sync- it will place any newly logged contact from my outlook to iPhone – no problem. However, if I add a new contact on my iPhone, it does not transfer to Outlook when I sync. I have a 3GS Iphone and Outlook 2010 in my laptop with Windows 7, I activated the itunes add-in in Outlook, but I still cannot find Outlook in the ‘Sync contacts with’ options, it still displays only Google contacts, Windows contacts and Yahoo address book. I closed and re-open Outlook and even uninstalled and reinstalled itunes, but nothing changes. Is there something else I have to do? Please help. I have been able to sync my iphone 4s with my outlook exchange account. However, when I send emails from my iphone I would like to send the orignal message from the server. That way when I am checking email from my computer i can see the return or forward arrows for emails that have been replied to or forwarded from my iphone. Additionally, when i try to sync my iphone through itunes its keeps saying “itunes could not back up the iphone because the backup was corrupt or not compatible with iPhone. Any thoughts? Hi-I have the iPhone 4 and it is synched with my outlook account at work through exchange. Contacts, calandars, everything. Because I’ve been at this job 11 years I used this account for personal, business -everything. I am leaving finally and realizing when I delete this account it is going to wipe out all the contacts from my iPhone. How can I save these contacts to my iPhone so I have them once I delete my work outlook exchange account from my phone? I have finished cleaning up all of my contacts in Outlook contacts. i then deleted all of my contacts on my iphone. Used this information to copy my contacts FROM outlook TO iphone. On itunes, it said this phone had been synced before and ask if i wanted to resync or treat as a new phone. Not wanting my old out of date contact info to be put back on my iphone or outlook, I choose new phone. All of my out of date contact information loaded onto my iphone AND REPLACED all of my cleaned up OUTLOOK Contacts!!!!! Why isn’t there a way to stop this craziness????????? I just got a new 4s – my first iphone. I was assured that the iPhone would sync with Outlook via USB, but it does NOT. I have tried all of the tricks mentioned here and in other similar posts/tutorials from Apple, but to no avail. I installed iTunes on my laptop PC (Win XP Pro SP3) and it installed ok. I am running Outlook 2003. When I plug iPhone into USB port, it launches iTunes and starts 5 step “sync” process but fails at step 3 because it “cannot create backup ”. Does anyone have any suggestions – I thought the whole attraction to Apple was that it was easy to use – right!! I keep finding these same instructions online however I do not have the “Sync calendars with… Outlook” option in iTunes! It’s very frustrating. Im on a Macbook Pro with Outlook for Mac and using iCal on iPhone and I have not found a way to get my Outlook calendars in to iCal on iPhone. iTunes only gives me the option of wether or not to synch calendars from iCal which is of no use to me since I use Outlooks calendar for work scheduling. I’m really desperate and Furious. I’m not able to sync my Contacts and Calendar from Outlook 2003 (windows 7) to iphone 4 (new and empty). I followed the process and don’t have a problem receiving mail on the iPhone. However, I received a bunch of mail in Outlook, read it, and cleared it. Then when I went to “mail” in my iPhone, it began downloading the 50 emails I’d already processed. Any way for iPhone to know I’ve already dealt with these emails? I have an iPhone 4 and Outlook 2007 with Windows 7 operating system. For the last 2-3 years I have had no problems syncing my calendar, contacts and notes (or my email accounts) between the two. In the last week (since downloading the new iPhone software?) I am unable to sync my calendars between Outlook and my iPhone. I have no problem with my contacts, notes or email. It’s as if Outlook and the iPhone do not recognise one another – nothing changes. I’ve tried fixing the .pst files and performing a repair – the repair goes OK but the sync problem persists. I’ve tried resetting the sync history in iTunes and that doesn’t work either. I have the latest version of iTunes (and haven’t changed that recently). The only change I have made recently was downloading the iPhone software just before the current 5.0.1 version (and I have now downloaded that in the hope that might fix the problem). Please help! I’m mobile in the work I do and this is making my phone useless. I am considering purchasing an iPhone and currently use Outlook 2007 on my Windows 7 laptop. My question is this – To 2 way sync you have listed to use the Google Calendar Sync does this mean I would use a google calendar and contact program/app on the iPhone or do I just use the iPhone ones and use Google Calendar Sync to sync them? When i sync my iphone 4S all of my inbox emails on my phone are gone. I don’t want them to be removed. how can i keep them when i sync. I have tried unclicking the one box under emails in itunes but it doesn’t change anything. There seems to be a limit to the number of characters that Iphone displays for a meeting location after sync-ing with Outlook. Anyone know how to increase the number or characters that can be displayed? same with my phone and it didn’t help at all. I am unable to get my notes from outlook (2011 for mac) on mac synced over to my iPhone 4s. Is there a way to do this? am trying to sync my contacts, import them all from outlook, did exactly the steps as outlined above but itunes starts preping to sync, reaches step 2 out of 4 and then stops. anyone help? Hi, I am trying to transfer the email from my outlook to my iPhone 4S; and I followed the steps in the top of this page (transfer using itunes). But “email contacts” are NOT transferred to my iPhone. Could you help me out. My problem was in Itunes under selected groups, I couldn’t see all contacts folders in Outlook. I made sure iTunes Outlook addin was active. Still I couldn’t sync any contacts. Finally I found the solution. The problem was my Outlook default profile wasn’t set to the right one. After I set to the right default profile, all contacts and folders came through. You can check your profile by starting outlook from under programs > Microsoft Office > Outlook 2007. Click options button and set profile name to the correct one and check set as default profile. This question may or may not have already been answered, but I didn’t feel like reading every single thread…but my question is: How you I make a contact list of just a certain group of people that I can send a mass email out to. So that I won’t haw to individually go through and pick each time to send an email to. Just want to make a folder of 5 certain people an email would go to each time it is sent. Can that be done on my iPhone4 or does it need to be done on my Mac and then synced over? My Iphone 4 is set up with my microsoft outlook and i am able to send and recieve emails from it. My issue is when I check an email on my desktop pc, it does not show as a read item on my iphone. When I check an email from the iphone is does reflect on my desktop pc. PLEASE HELP?!?! I have downloaded my contacts from my blackberry to my home computer, in outlook express, version 6. But I can not now sync these across to my iPhone 4. I followed the instructions on your site, but when I went into “tools”, then “options”, there was no tab for “other”. Do I have an old version of outlook, or a demonstrator version which will not sync with the iPhone? If so, can I upgrade to a version that will enable me to sync to the iPhone, and when upgrading outlook I will not lose my existing data? When i try to add my outlook account from work on iphone 4 it says cannot verify account information and when i enter mail says can’t get mail.Please help…i will appreciate a lot. If this is the first or second time you get this warning, click Continue. If you receive a message that the Exchange account cannot be verified, click OK and make sure you entered the account information correctly. This error will most likely appear if a password has been entered incorrectly or if the Domain info is not correct. I have a personal calendar I use in Outlook 2010 with over two decades of information. I’d like to access it on my iphone 4, but iTunes does not “see” the calendar when syncing my iphone. It sees the default calendar, notes, contacts, etc., but the personal calendar is invisible and thus, not synced. I’ve placed the personal calendar in my main email folder in Outlook, where the default calendar also resides, so why isn’t iTunes “seeing” this calendar? Thanks in advance for your help! System: Windows 7, Outlook 2010, iPhone 4, OS 5.0.1. Wow. . .that is one long thread to go thru, iPhone Expert, and I appreciate your patience and consistently friendly demeanor. So my problem is getting 103 Notes to transfer over from a 3G to a 4S. Everything else has made the trip across the abyss safely and are synced with Google. But the only notes that show up in Google are the two new ones i put on the 4S. BTW, the iTunes info tab says there are “no supported notes applications” in Other and in Advanced the choice is whited out when either phone is plugged in. So, I guess that is saying that Google is not supported. . .for either phone. . . So, i got the impression that Mobile me will do the job and, of course, they say that I need to be connected to USB with the 3G. ..but nada came over that way either. Now. . .a long time ago, many of these notes came off of some Palm phones and were synced with Outlook 2000, but no Outlook programs exist on this computer and so I suspect that none of the notes have been backed synced up since. I’m feeling like a cornered WarGames soldier right now in thinking that i have to purchase and install another (Outlook) program to get an Apple iPhone to sync their Notes program! And I see that I am not the only one to be frustrated. I know that Google will back em up for me once I get them onto the 4S. . .So, does the free Outlook Express work in making this transfer? Or could I use the 60 day Office trial to get them over to the 4S? Which option is better? Or, do you have a better idea? Then, of course, I am concerned with corrupting all the currently good data that currently resides on the 4S when all I would want to use Outlook for is to get the Notes. I want to be able to open and collapse my mail folders, called mailboxes on my I Phone. Does anyone know of an APP for that function. Outlook has a + or – to collapse and open multiple files in a folder. Problem One: When I sync my Iphone to my computer, all the emails on my iphone both IN and SENT are removed from my iphone and none of my iphone SENT emails are transferred to my PC. Problem Two: My calendars, both on my Iphone and in Outlook are NOT transferred to each other. My email account is POP, my ISP is Bigpond. All incoming emails appear on both PC and iphone so there is no issue there. Seriously need to be able to have my Iphone Sent emails to also be in my Outlook 2007 sent folder. I am trying to sync my iPhone 4 using iTunes and MS Outlook. I have gotten to the part where I “Check the “Sync contacts with” option and select “Outlook” and if you don’t want all your iPhone Contacts to be synchronized with Outlook Contacts, click “Selected groups” and select the groups you want to synchronize. However, on iTunes, the “Selected Groups” option is grayed out. I have searched and searched for a solution but I have not seen any viable answer that tells me how to step by step correct Outlook and/or iTunes so that the “Selected Groups” is no longer grayed out. I forgot to mention that I am using the latest iTunes and MS Outlook 2010.
is it possible to synchronize notes in outlook with iphone4 in addition to all outlook ? Curious to know when syncing outlook & iPhone if the e-mail addresses that are reconginzed but not formally plugged into your contact database will be transfered to iphone? Hi, very helpful the information here and it enabled me to quicky sync my contacts, bookmarks etc quickly with my new iPhone. Just one problem though….when I go to my contact and hit a number to dial the phone won’t dial the number. If however I enter the same number into the keypad it starts to ring out. Any ideas? I sync Iphone 4 with Outlook 2007 on XP. The event, the date and time, all sync satisfactorily, but notes that I write to the event (in the notes pane below the date and time) don’t sync to the iphone. But from the Iphone if I write a note it syncs to the computer. What do have to do to get the notes of the events on the computer to sync to the event on the iphone. i am trying to sync my outlook contacts to iphone but itunes is not recognizing my folder (weird thing though, I can sync my calendar with correct folder). Any suggestions? In the iPhone in all Categories I have 1700 Contacts! When I make the Transfer to Widows Address Book I had just 1200 Contacts!!! Even I check the “All Contacts” in Synchronization …. how can I succeeded to transfer all of them, please! Hello iphone expert. I have an iPhone 4s and outlook 2010. i was prepared to use the iTunes option and sync my calendars and contacts, supposedly they are supposed to sink via the iCloud. I can get them to work, but only sometimes. Is there something I’m missing here?? My outlook is set to sync with ical, iaddress, ect, then those programs should be syncing with my iPhone via the iCloud. but it doesn’t work. Is it something i can do or is it just a system/program issue that hasn’t worked out all the bugs? i have all my contacts in folders on outlook, is it possible to transfer them in folders on my i phone 4? HELP! Just got an iphone 4s Jan 2012, switched from a Windows mobil phone after several years. Needless to say the Windows phone synced flawlessly with Outlook. I’m using Windows 7 and Outlook 2003 (old yes, but I just use it for the calendar, contacts & tasks) and I’ve had NO problems whatsoever. Until now. My iphone synced with OL 2003 perfectly (except for tasks) for 2 days (in both directions) and then it stopped recongnizing the calendar only (contacts it would sync, but not the calendar) in either direction. After 5 or 6 hours on the phone with AppleCare, and 3 more phone calls from them asking for more information over a 2 week period, they told me it was a MS problem. So I synced it again to update a contact, and bam, the calendar synced perfectly in both directions again (I didn’t do anything) and it worked great again for 10 days this time. Now it won’t recongnize the calendar again – but still syncs the contacts. I really need my calendar! Any ideas? Iam using outlook 2003, and i have 1phone 4s, i have subfolders in mail for inbox, as i recieve mail it goes to scpecified folders. here i would like to know when i sync my phone to outlook will the catagorized folders will also be there in the phone or only comes as inbox? I downloaded iTunes on my laptop, hooked up my IPhone and opened up iTunes. There was no Devices section to choose my phone from. ??? Can anyone help? Having my Contacts is the most important thing I need on my phone. I have a question how do i sync my work outlook email to my i phone 4 ? I have followed the instructions for the two-way sync Outlook 2003 to iPhone4S and vice versa. The items off my Outlook Calendar sync to Google. But I can’t get the items on my phone to sync to Google or Outlook. I cleared my cookies in Safari. Still no luck. I added my google account on my iphone. Still no luck. What am I doing wrong? Got my new iphone 4s (from blackberry) on oct. 14. Transfer of contacts to iphone at ATT was fine. All is being backed up in the cloud. Had phone problems and Apple tried to fix but then my physical addresses in contacts disappeared. Just got new iphone 4s and Apple store and Att have tried to transfer contacts again but still no physical addresses. What’s up with this? Anyone else have this issue? Am now going thru the trouble of downloading blackberry desktop software, synching old blackberry, downloading trial version of outlook 2010, transferring blackberry contacts to outlook. Now I need to get the info from outlook to my iphone without loosing contacts from either side. After reading all these posts, I’m kinda afraid to try this last step. I have 2 Outlook address books. One on my laptop to save business contacts in Outlook 2010 Windows7, & one on my desktop to save personal contacts in Outlook 2003 WindowsXP. Some contacts are saved in both address books with little different info, e.g. office phone# in business contact list & home phone# in personal contact list. I’d like to sync both contact lists to my iPhone4S but keep them in separate groups. I first sync my personal contact list from my desktop to my iPhone under group “family” & then connect to my laptop. iTunes automatically creates a “family” contact list on my laptop Outlook address book, but it pulls those contacts that are common in both lists from my business contact list to “family”. How can this be solved? I have an iMac running Lion, Itunes 10 and Office for mac 2011. I cannot find the option to sync contacts with Outlook only all contacts or selected groups under the info. tab. I want to sync my outlook 7 calendar to my iphone 4 but do NOT want to sync my contacts and notes. Is this possible? If so, how? I have an iphone 3 and have synced my outlook 2007 calander with my phone calander. Is there a way to automatically – in real time – sync the calander with the outlook 2007 and iphone 3 without connecting the phone to the computer every time? Yes, indeed, this is a know issue, as certain Outlook fields such as Others won’t sync to iPhone. problems in syncing my iphone (4) with my outlook calenders (office 2010) started two months ago and suddenly, I do not remeber that I have changed anything at my systems. everything else is synced properly, only the calendar doesn’t sync anymore. I have already updated itunes 10 and IPhone iOS 5.1.1, but still no success. DO you have any ideas or suggestions? I only want to sync over USB and not over any cloud application or other programs. I am trying to sync read emails on my ihpone 3g and outlook 2010 2 way through imap account but the received incoming emails do not appear on my pc after setting up the imap accounts on nboth phone and outlook. It appears that my phone is my server? I tried looking through the material but still could not find a clear way to ensure that contacts created on my Iphone4 gets synched with Outlook2010. Can anyone advise or point me to the correct article? Contacts created on Outlook2010 sync with Iphone4 fine. Our Enterprise email servers crashed last night, 30K users. IT says they will have everything restored in a day or so. Because my iPhone syncs directly with the company Outlook, all contacts, emails, calendars, etc. are currently blank on my iOS devices. Pretty terrifying to have NO contact names in my phone When it gets restored. Is there a way to back up the Enterprise data, perhaps in the Apple Cloud, where if this happens again, at least I could click on the “Contacts on IPhone” option and have acces to contact data even though it would not be synced to the Enterprise Servers. In theory I could just back it up regularly and not be looking at a blank screen if this happens again. I’m glad I found this website! I’m technologically challenged, so forgive me if this has been answered before (I did read all the comments above). Here’s the question. I thinking of buying an iPhone, but the key for me is whether it can sync Outlook Calendar, Contacts, and Tasks (using USB cable) — and sync two-ways (from PC to phone and reverse). I would prefer not to go thru Google Calendar. My PC has Windows 7 and Outlook 2007. Is there an iPhone model (an older one would be fine) that would be able to do that with what’s currently on my PC? I am trying to sync distribution lists in Outlook with my iPhone. My contacts come over fine, but my distribution lists do not sync. I cannot find any documentation on it. Any assistance will be appreciated. My contacts on my iphone 4s won’t sync with my phone. I tried the “devices” area in my itunes and it doesn’t have an “info” category. This is frustrating, please help. I have multiple email accounts such as sbcglobal.net, gmail, yahoo, etc. on my iphone. I also have the same email accounts in Outlook on my PC. whenever I plug my iPhone 4 into my PC to sync, all email in all accounts are deleted from my iPhone. All email remains on my PC. I’ve tried many things and cant seem to keep email on my iPhone. My wife is afraid to even plug her phone into the PC but she keeps all of her email on her phone. we have all of the same settings on our phone, so I know my deleting email is caused from plugging it in to my PC. Why is this? Once cleared from my phone, it wont allow me to re-download the email without resending it altogether (from my PC). I syncronised my Iphone calender with my oulook calender on my laptop, but now I lost all my data in my calender.. Is there anyway to restore the data? I found a great plugin from Bynari called the WebDAV Collaborator that allows me to sync my Outlook with my iPhone as well as my Google Calendar and Contacts. I’ve used the approach mentioned here for a while but I didn’t like being limited to just iPhone and iTunes. I am having issues getting the “body” portion of the calendar appointments from Outlook 2003 to sync to my iPhone 4s so the the info is listed in the “notes” section on the calendar on the iPhone 4s. Any ideas on how to fix this other than me editting every single appointment on the phone after the sync is completed? My iphone just started not syncing my contacts from Outlook on my PC. The calendar syncs just fine. My icloud settings are to ‘off’. Please help. We experienced a similar problem between Outlook (via exchange) and an iPhone 4. 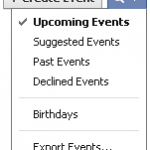 Recurring events were syncing but one-offs were not. It turned out that the user’s network password had changed but this had not occurred on the phone. Closing the mail app and reopening prompted for the password and once the new one was done the issue disappeared. I have Windows 7 – Microsoft Office Outlook 2007 and an IPhone 5C. My emails disappear from my phone when I have read them in my Outlook. How do I get them to stay on my phone for further review? I know it is in the Settings somewhere but I have not figured it out – Outlook or IPhone.